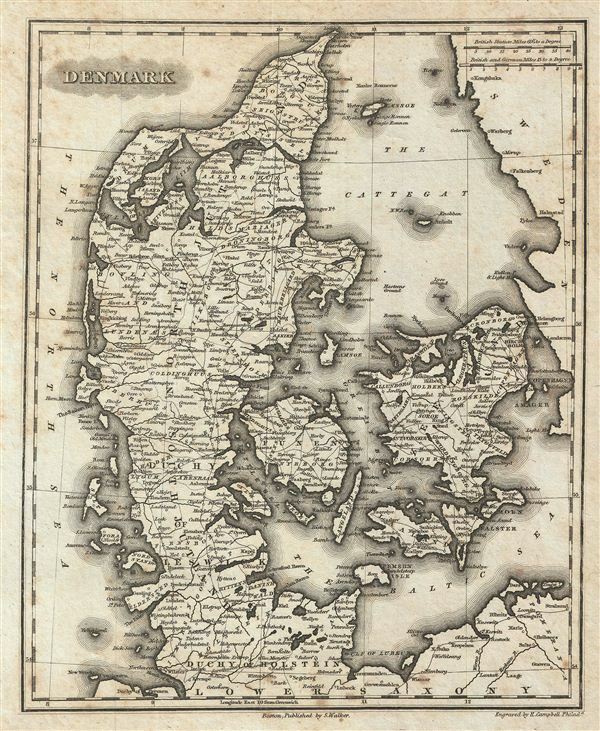 This is an attractive example of the 1828 Malte-Brun map of Denmark. The map covers all of Denmark inclusive of the Duchy of Holstein. The Kattegat (Cattegat) is also identified. At this time in history, Scandinavia was in the midst of a prolonged period of peace and prosperity that led to a cultural and population boom. Various, important rivers, islands, cities and other topographical details are noted. This map was published by Samuel Walker in 1828 as part of the American edition of Conrad Malte-Brun's System of Geography, Vol. I.